Christmas was over in a blink of an eye. 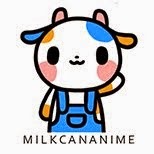 I really wanted to rest more over the long weekend but time really passes too fast when you are having fun! Now to get back to the main topic, I'm Reina-rin, and I'm here to bring you the third and last of this trilogy of Nisekoi figures: Nendoroid Onodera Kosaki! 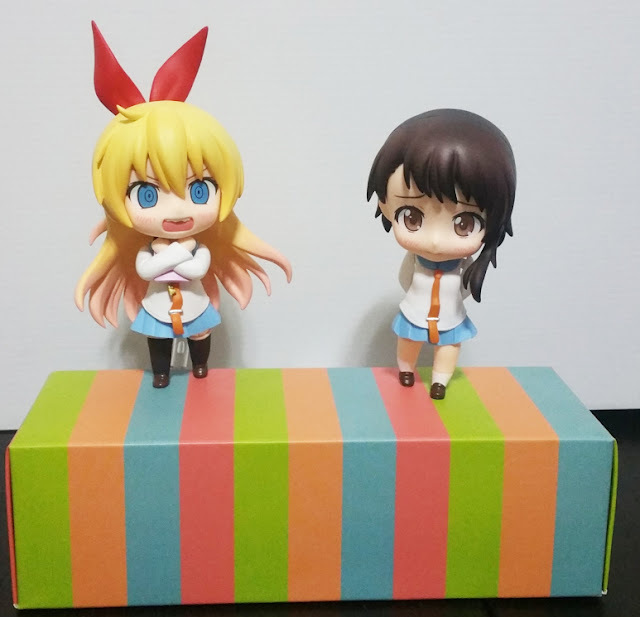 If you have read my previous review on Nendoroid Kirisaki Chitoge, you would know how thankful I am that Good Smile Company has decided to re-release these two beauties! And finally after such a long wait, they finally arrived at my doorstep! 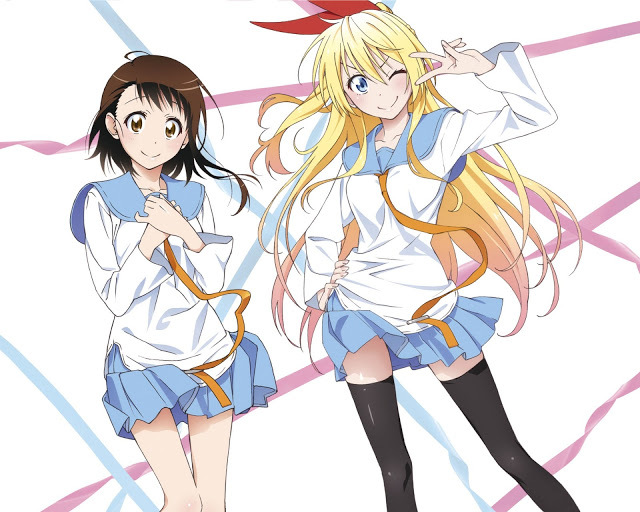 My two favorite girls from Nisekoi: Kirisaki Chitoge and Onodera Kosaki! They seem to be quite embarrassed so stop staring at them-! 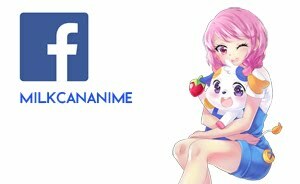 In fact, soon after their first release, Chitoge's Nendoroid almost doubled in price and Onodera's Nendoroid was slowly climbing up the price ladder too. I'm glad that Chitoge's price kept me from grabbing them off the aftermarket then because very soon after that, Good Smile Company announced their re-release! 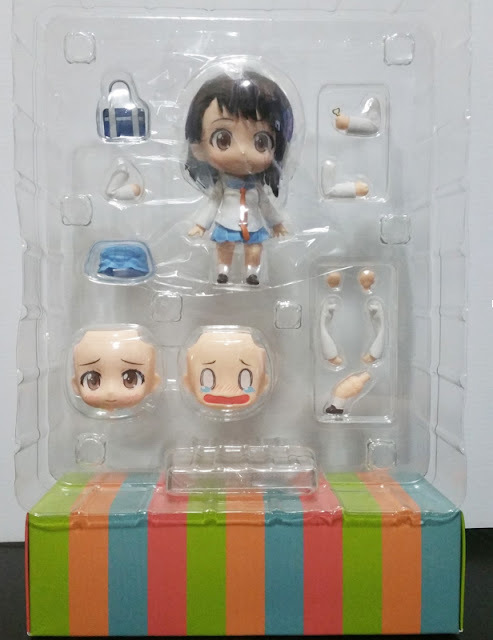 Onodera's box is one of the regular standard release boxes (nothing too surprising there) and she comes with nice hues of pink which matches her image. Onodera is such a sweet girl, constantly putting others before herself. Taking a look at her blister to see all the parts she comes with at one glance. My favorite face-plate is her embarrassed one! 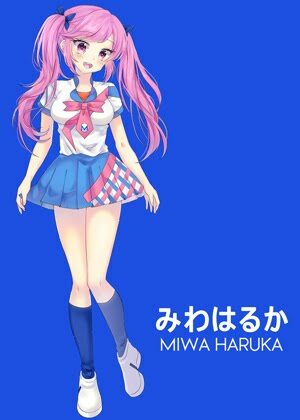 I feel that she comes with a little less than Chitoge though. Again, she comes with the standard Nendoroid base and stand. Usually, I'll give 6 for standard bases that gives me problems (such as not fitting well) and 7 for those which don't give me much trouble, but Onodera's base was perfect so I'll give her a little higher! She ended up flush against the stand and doesn't come off easily, which is a good thing as I can easily change her poses with her still on the base. That saves me the trouble of posing then forcing the stand in only to realize that somewhere along the way, I messed up the pose again. 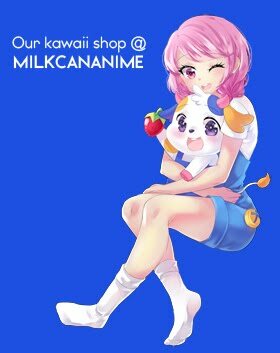 I find her sculpting really good and faithful to her original illustration. The choices of her face-plates have enough variation and we get to see three different sides of Onodera just from a single Nendoroid! Let's take a look at her blister again! 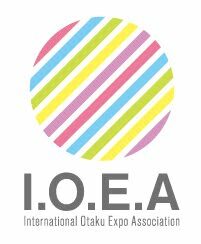 If you look at the hand at the top left, Onodera comes with a hand that can hold her key (a crucial item in the anime). 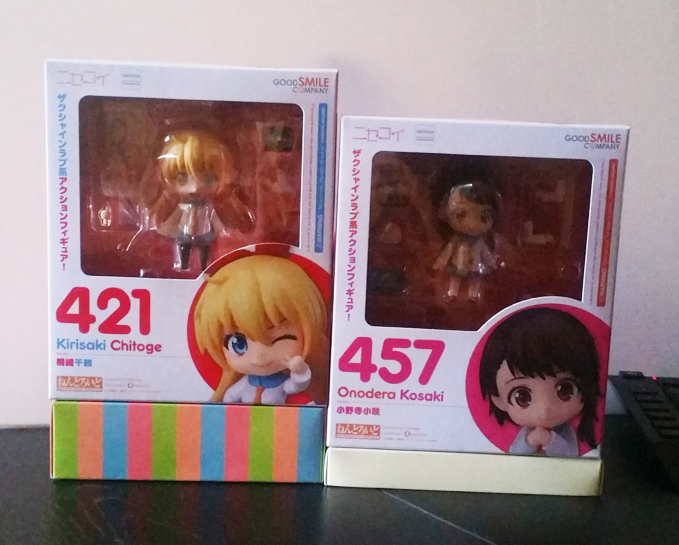 I find the hand part a very nice addition which Chitoge's Nendoroid, unfortunately, didn't come with. I would have loved to pose Chitoge clutching her diary with an arm and the key in the other hand! Getting back to Onodera, note that they key is actually removable from the hand itself, so you can use the same two hands to pose her clasping her hands together instead of holding the key. Furthermore, as the key is removable, please be careful not to lose it if you do pose her with the key! Though, I wish that Onodera also came with the option to hang her key around her neck like Chitoge's did, especially since her key appeared in the anime with a chain around it. The additional skirt piece included with the Nendoroid is also quite useful! 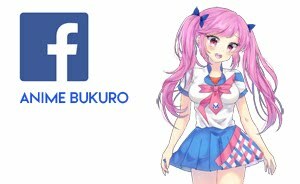 And posing that skirt together with her embarrassed face really sets the mood too! 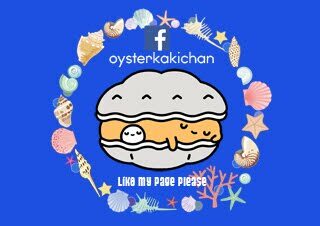 However, we can all visualize how cute that skirt and embarrassed face-plate would go together so let's try the same pose with a different face-plate -- the crying one! Onodera was really easy to pose and all her parts really bring out that honor student feel that most people get as their first impression of her (although her grades aren't that great)! If there's one thing I had to nitpick on besides wishing she came with a key with a chain to hang around her neck, it would be that I wanted Onodera to come with a tray of Japanese sweets as well so it'll bring out a fourth side of her -- a diligent daughter helping out at her family's store! 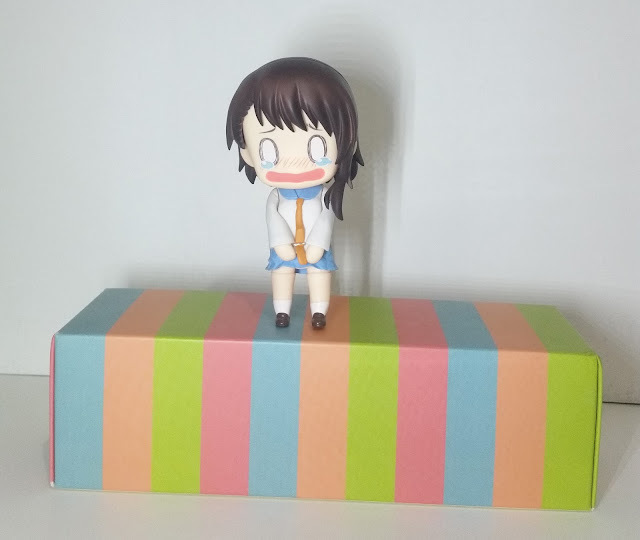 This is by far my favorite pose for Onodera on her own, However, I would be changing it soon enough since I want to have a pose of her and Chitoge interacting because... what fun are Nendoroids alone? 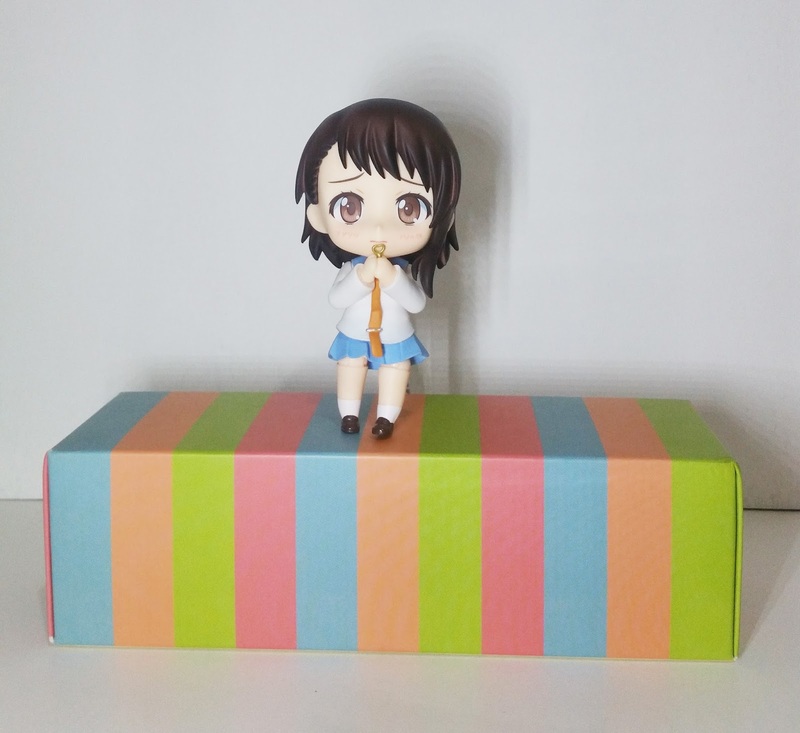 No Comment to " Figure Unboxing and Review: Nendoroid Onodera Kosaki (Good Smile Company) "